Pantone’s color of the year challenge was initially a little… “challenging.” Kind of like a cross between brown and mauve. Yikes! In the end though, I kind of love it. So much so that I’m making an Amy Butler Weekender Bag in an (unintentionally) very similar palette. I decided to make another art quilt (first one blogged here) because I wanted to try the method again in a slightly different way. 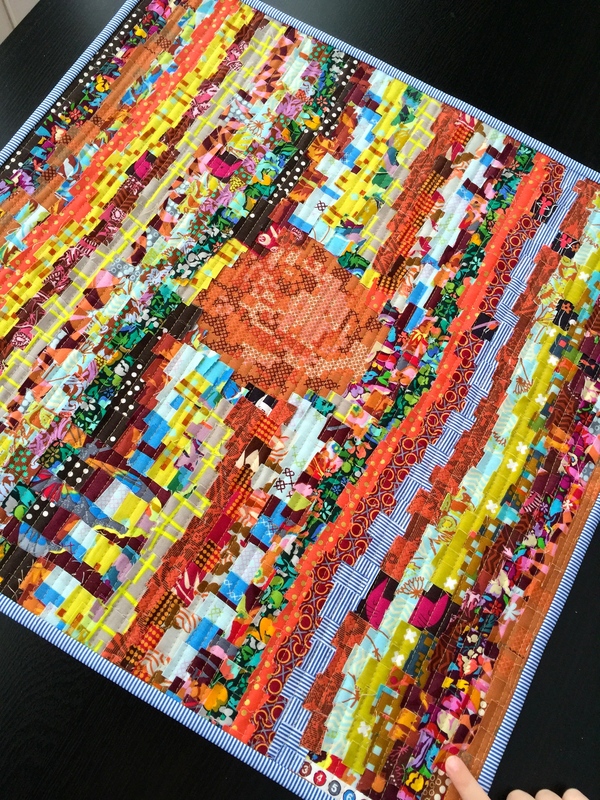 With both the butterfly art quilt and the one I did for my Instagram mini quilt swap, I overlayed a feature element on top of the textured background. I didn’t do a blog post for the swap, but here’s a picture. The entire background was laid out before I placed the flowers and birds, which lay on top. For the Pantone challenge, I wanted to place the feature rose in the center of the quilt before I placed the tiny “background” pieces. A subtle difference, perhaps, but one I was eager to try. 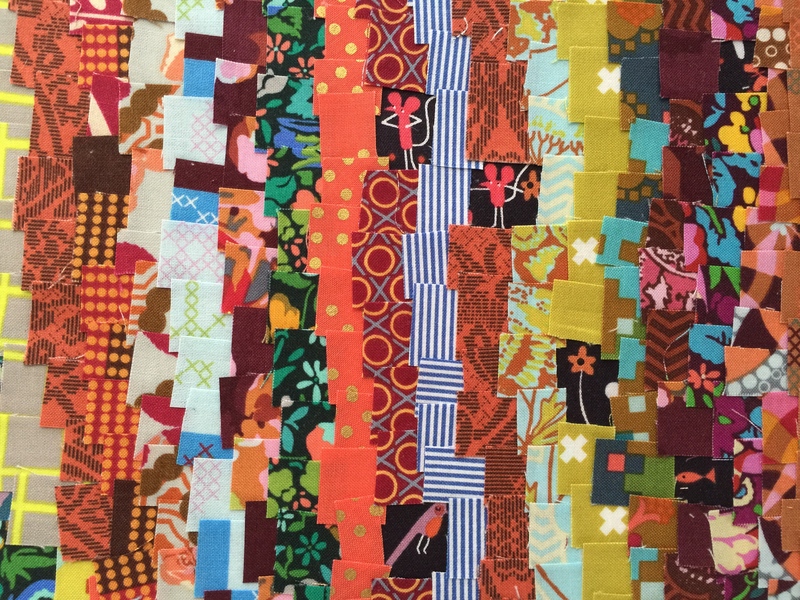 This quilt makes you want to touch it, as evidenced by my 3 year old. After placing all of the pieces I straight line quilted it about a 1/4 inch apart to give it additional texture and also to ensure everything stays in place. 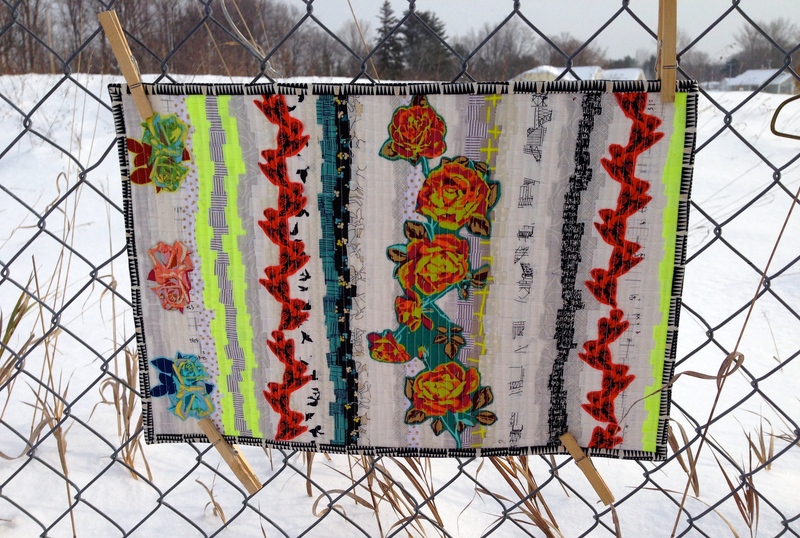 One of my favorite things about this quilt is the hidden Lizzy House creatures. I spy two mice, a bird, and a fishy! There are a couple of bi-sected cats hidden in another part of the quilt as well. 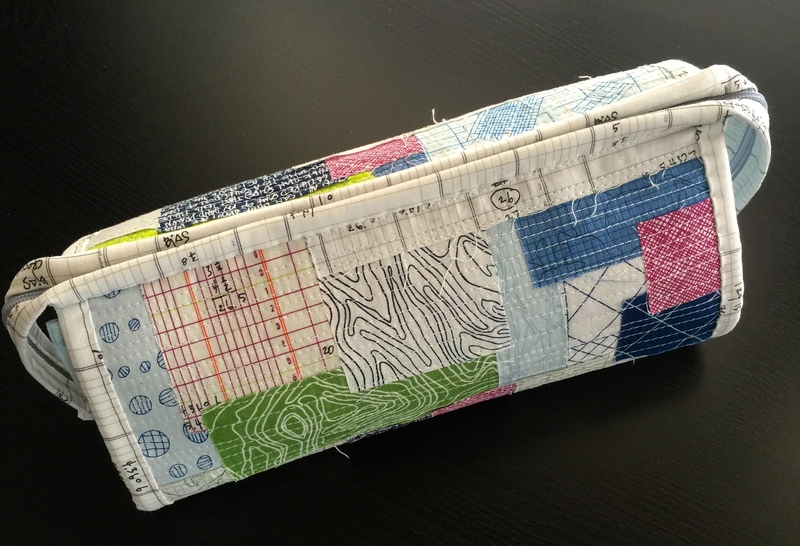 A lot of people have asked me about the method behind this style of art quilting and I do have a blog post planned for that. It’s the same method I used to make the exterior of this cargo duffle. 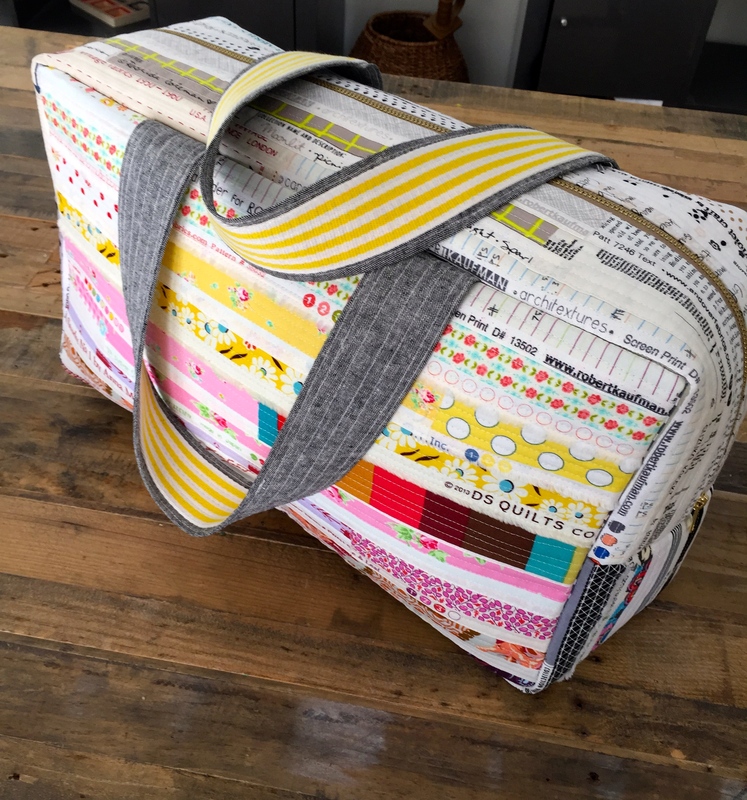 And this sew together bag. I hope to be posting that soon. It’s so simple, and just perfect for selvages because you don’t lose the words and color dots in the seam allowance. I’m linking up with the Marsala challenge with On the Windy Side and Play-Crafts. Go see what everyone else has created with this challenging color! 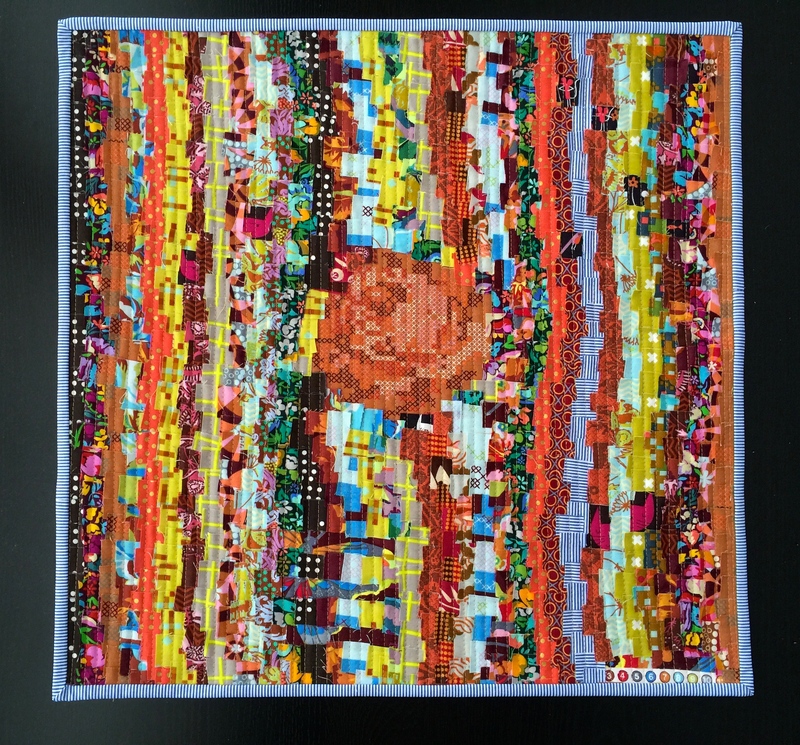 I LOVE your art quilts!!! I made my first about six months ago and it was so much fun, really freeing to make a art quilt!! Congratulations on your beautiful baby!! I’m so glad your back to blogging, I can’t wait to see more of your creations!!! I’d LOVE to learn more about your technique. These pieces are knockouts. I can’t believe how much you get done with two little ones and a new baby! You are quite an inspiration plus the quilts are so beautiful. I really enjoy your posts. Thank you, Sara. It really did seem like a challenging color until I started pulling fabrics together, too. I am so excited to see all the different interpretations and creations from this challenge. Your quilt texture looks amazing, and the hidden animals are a great touch. Glad to see you’re back posting more regularly, I’ve missed your work and your posts. Great quilt, and that cargo duffle is fabulous! Beautiful quilt and so striking! I’ll be looking forward to hearing more about your technique. Im so glad you’re back to blogging a bit! Even with the IG updates, I really miss the more in depth conversing about what you’re working on – which is quite a bit and so varied. Your more modern side is really shining through right now. Can’t wait to see GW all finished up soon! I love the construction technique you used for this one! And the little hidden critters are adorable! 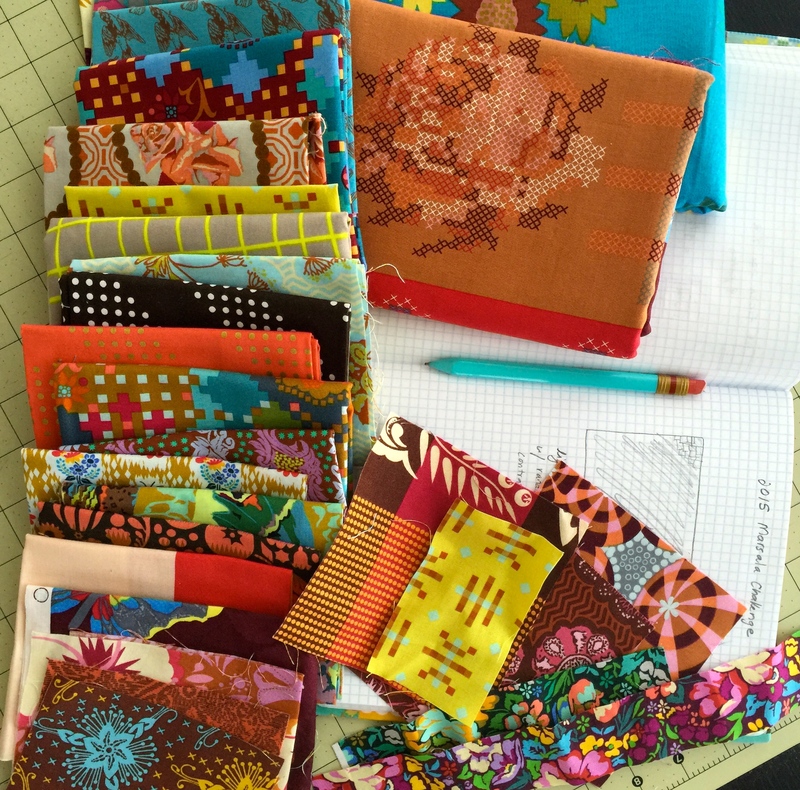 The colors are so rich, really beautiful choices and quilt! 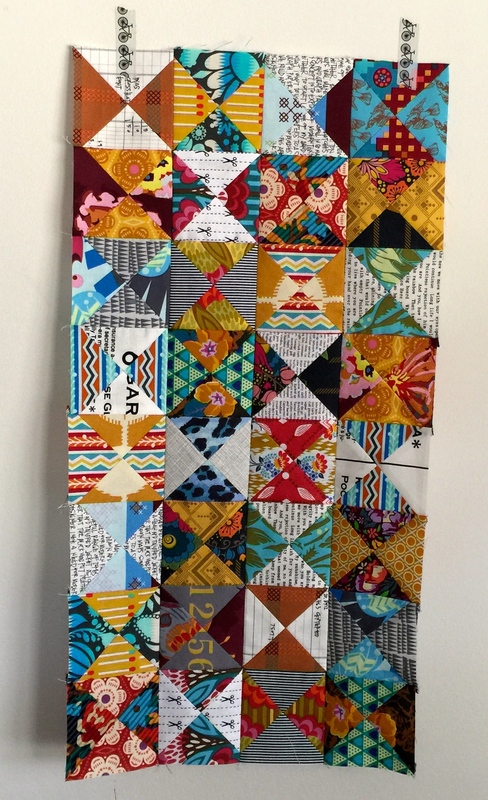 I just love this art quilt! 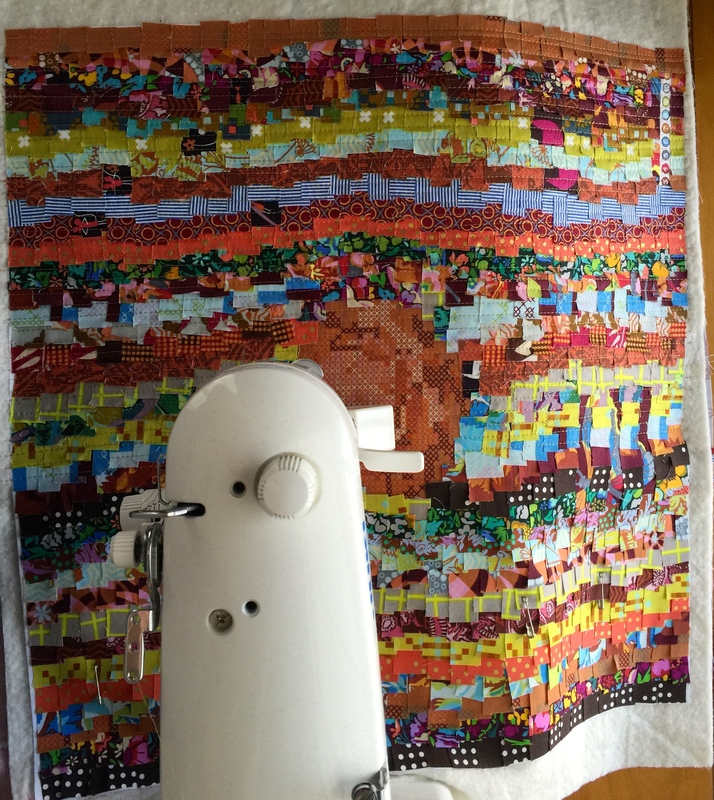 I didn’t love the Marsala color that much but seeing creations like yours proves any color can look awesome when the piecer has talent. Did you win an award? Didn’t know the forum rules allowed such brnlilait posts.